Adam can trace H.H. Holmes to around 100 addresses around the city. Of those, about half a dozen are still standing. Most are included in Adam’s usual route, but most of them are just buildings that once housed businesses that Holmes swindled (he was a swindler first and foremost). Adam’s usual tour features highlights of Victorian Chicago and remnants of the 1893 World’s Fair interspersed with TONS of info and stories regarding Holmes and his remarkable career – and a trip the grounds where his famous “murder castle” once stood. But what do we really know about this guy? 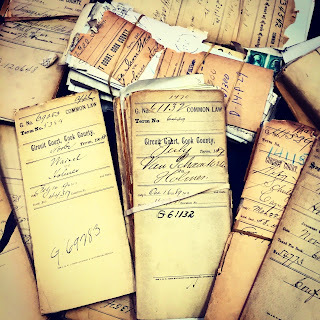 After starting to run Holmes tours in 2007, Adam rolled up his sleeves and started doing DEEP research, poring through microfilmed newspapers, dusty paperwork from legal cases (Holmes was sued a lot), and made all sorts of discoveries. Most Holmes books are based more on tabloids and pulps than what really happened. Using stories from newspapers that had reporters on the ground, legal records, property records, and more, Adam has become one of the world’s leading experts on H.H. Holmes. He has been a talking head on TV shows, gives lectures all over the country, and will soon be publishing a book, H.H. Holmes: The Making of a Supervillain, that will function as the ultimate source on Holmes’ life, career, and lingering mysteries. Want a sample of his research? 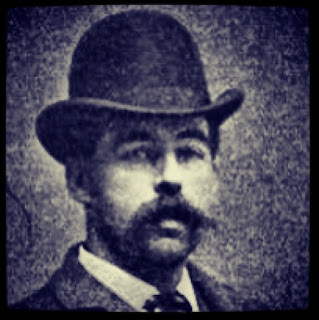 Scroll through the Holmes-related entries on The Mysterious Chicago Blog. The tours run approximately 2.5 hours, with a stop at Chicago’s oldest tavern towards the end (old enough that Holmes may have even been a customer). It’s available as a bus tour OR as a “car” tour for up to four people. Longer versions that include EVERY extant building Holmes can be traced are available, as well (though indoor access is only rarely available, and only ever in certain buildings).